After what feels like an endless number of teases, Netflix has finally dropped the first real trailer for Stranger Things' third season. The end of last season found the kids of Hawkins overcoming yet another extradimensional threat, and promos ever since have mostly focused on something far less scary. New malls, ice cream, romance, fun in the sun...of course, it isn't going to last. What kind of show would this be if it did? Set to the sounds of "Baba O'Riley", the trailer finds the kids we all know and love facing everything from monsters, to workout videos, to broken friendships. It's a reminder of the nostalgic qualities that are a reason so many have gravitated to the show, even those who may not have been from that bygone Amblin-esque era. As for plot details, those are being kept secret and that's exactly how it should be. Eleven (Millie Bobby Brown) seems more like a regular kid than ever, but we all know it won't be long before those telekinetic powers of hers will be called into action. 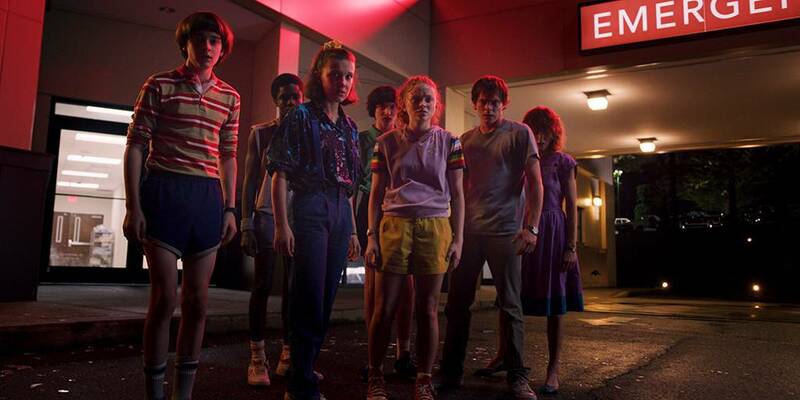 Netflix will kick off Stranger Things season 3 on July 4th.